0. FONT PDF from previous email. 1a. Reworked logo for balance and proportion. 1c. Overlay with previous unedited version. 2a. Horizontal Lockup in single line. 2b. Vertical Lockup with single line secondary type. 2c. Neutral Lockup with single line below. 3. I did some quick tests with this guy too and concluded that I wouldn’t make the best logo. 1a. Alternate versions for various situations. All these iterations in this section (1) could be used as a system. 2. This is another version that is more abstract. I ended up coming up with this while considering Laura’s comment of the brush stroke and pixels representing fine art and design/media respectively. 3. Quick comment from last email. 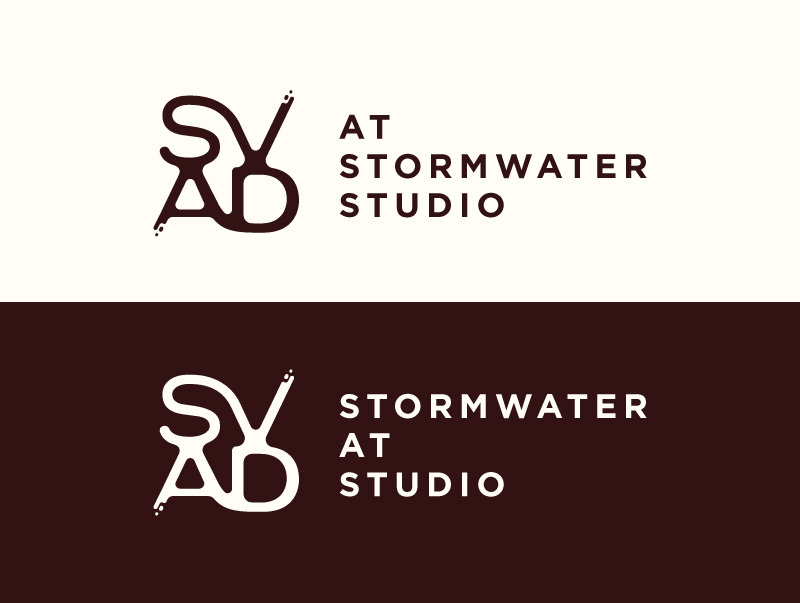 The design side of me feels that “at stormwater studio” is more balanced and pleasing to the eye. 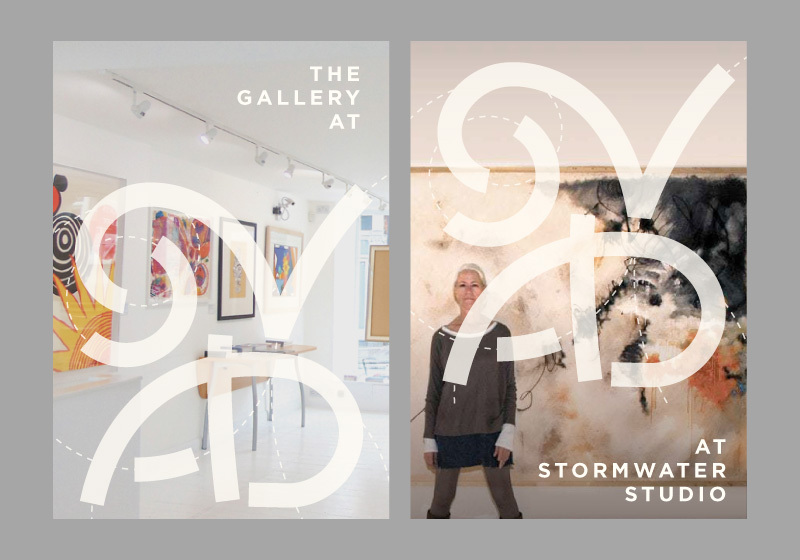 It also mirrors the frequency of “the gallery at” when each word is stacked. 3a. But that could be remedied by going to 2 lines rather than 3. After reading going through the feedback I started to push around a few more ideas. 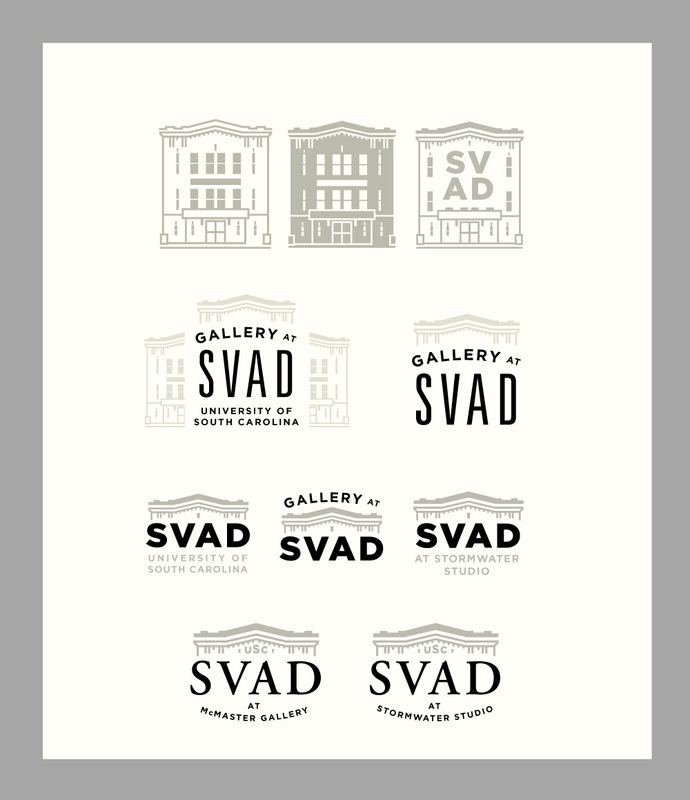 Because the department contains a variety of media and disciplines, you will see that I focused on “SVAD” being the main graphical element and crating an art design feel, rather than depicting one aspect of the department. I have also focused on the overall look of the logo and most of the secondary type is set in Gotham, which is a University approved font, but once we like a direction we can explore other treatments, although Gotham does work well with how versatile this logo set will need to be. I have also gone to a colorless palette as requested. 1a. I like this mark for its simple yet complex form that is well balanced, as great contrast and would supply all the versatility we need. 1b. Same mark but playing with different or more complex shapes. 3. 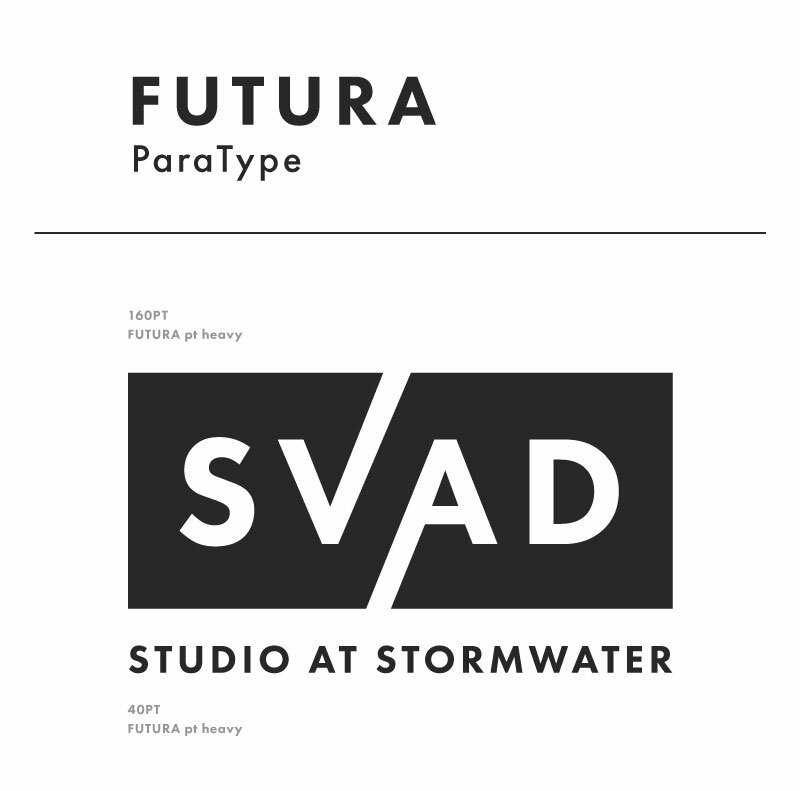 Again just attempting to inject “visual art and design” into the acronym. 4a. Different approach. 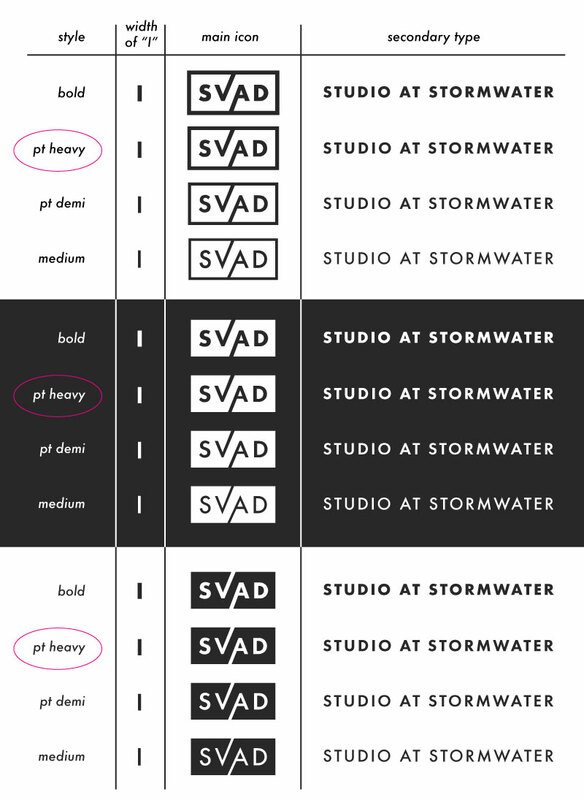 I could see this also going a similar route as the MIAD example you sent over, where each letter has its own treatment.